The HTTP server is a piece of software that understand URLs (web page addresses) and HTTP protocol. 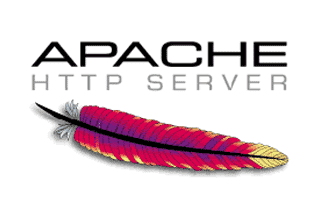 This tutorial will tell you, How to install and configure the Apache web server. Apache web server is also known as "httpd" (Http daemon). A daemon is a process that is continuously running as background process. Before installation, You must insure, you have a administrative privilege. Now your apache web server is installed. apache by default runs on port number 80. This will shows your Apache httpd installed successfully. Now you type the localhost on your browser address bar. It shows you apace default page. Now you are ready to run your application using apache. Apache2 is configured by placing directives in plain text configuration files. apache2.conf : This is the main Apache2 configuration file. This file Contains settings that are global to Apache2. It puts the pieces together by including all remaining configuration files when starting up the web server. ports.conf : is always included from the main configuration file. It is supposed to determine listening ports for incoming connections which can be customized anytime. Where are the Apache log files? After you have installed Apache, it will be added to the init.d list and will auto start whenever you boot up your computer. The following commands allow you to start, restart, stop Apache. As we know that by default apache listen request to 80 port. some time there may be need to change default port number. Now type in browser http://localhost:8010/ to check your changes.